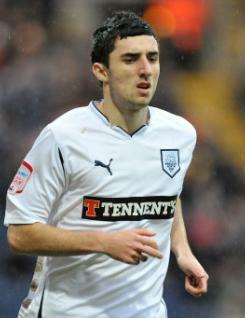 Conor McLaughlin was voted Preston North End's Young Player of the Year for the 2010-11 campaign.&nbsp; The Northern Ireland U21 international made his debut mid-way through the season for the Lilywhites in his favoured right back position. However, the youngster suffered an unlucky leg break after making only seven appearances for the North End which kept him sidelined for the remainder of the campaign.&nbsp; Conor is a strong tackler and made his name at Deepdale through his energetic performances up and down the right flank. He made his U21 debut against San Marino in March 2010.